Reminiscent of the classic cars of old, Vintage Orange is one of our new colours for our CS model. This is a simple customisation with classic tokyobike handlebars, Brooks leather saddle, matching leather grips, and an additional woody bell for a playful touch. 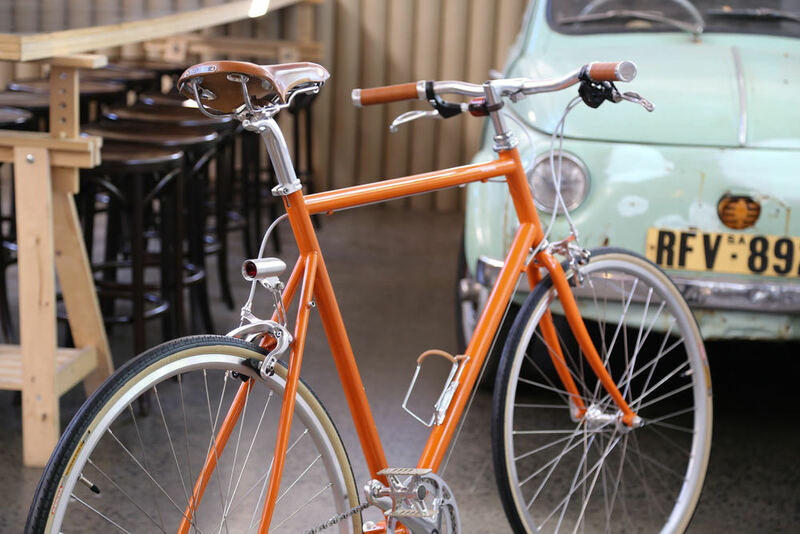 This bike is currently on display at our friend's cafe Minanoie ( 33 Peel Street, Collingwood).